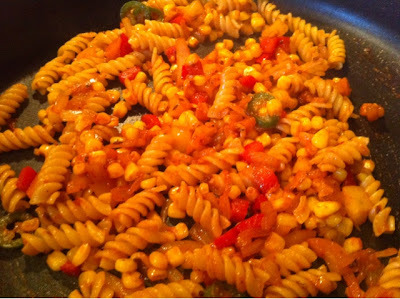 Pasta is kids favorite food, the best thing about the pasta is it absorbs the flavor very well, when you cook in any kind of sauce and tastes different even with a slight variation in the recipe. Do you think pasta is good or bad? I did a little research on nutrient facts on pasta and found out that pasta is neither good nor bad. It depends on the way you cook, how often you eat and what kind of ingredients you use in cooking. Now a days different kinds of pastas are available in the market among them soy pasta is the best!!! The other grain pastas are also good, here you can see the information of nutrient facts in a dry pasta, the good thing about pastas is they give you minimum of 8% fiber. Athletes eat pasta when they are preparing for a marathon, this is because the starch in the pasta releases energy slowly and for a long time they do not feel hungry!!! Cooking Pasta: To cook pasta take a large bowl and add 3 times to the volume of pasta you have i.e 1 cup of pasta requires 3 cups of water. Add 1/2tbsp of salt and cook till pasta is well cooked. Drain pasta and pour some cold water and keep aside. when the pasta is cooking, you can prepare the curry mean while. 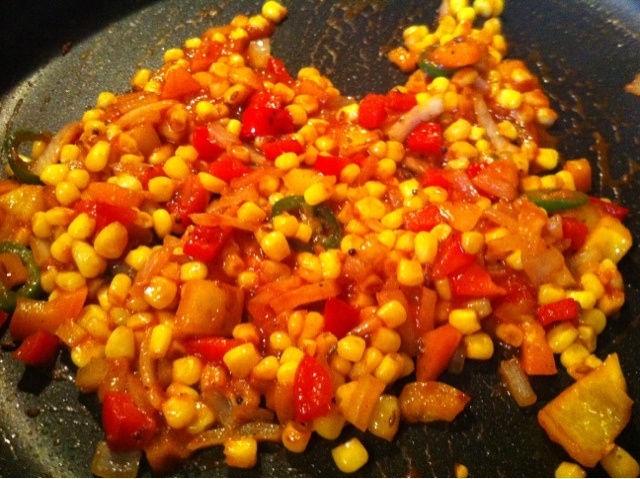 For this, take a skillet heat oil and add cumin seeds when they splatter add onion, green chili, corn, capsicum and cook till onion turn transparent. Add ginger garlic paste. Then add tomato and little salt. Cook under medium flame till tomato is completely done. Add pasta and cooked pasta and cook under low flame for 1min and turn off the stove. You can serve hot by sprinkling some cheese on top or you can sqeeze some lemon drops, sprinkle some chopped cilantro on top and serve or you can even add pudina powder while cooking curry. 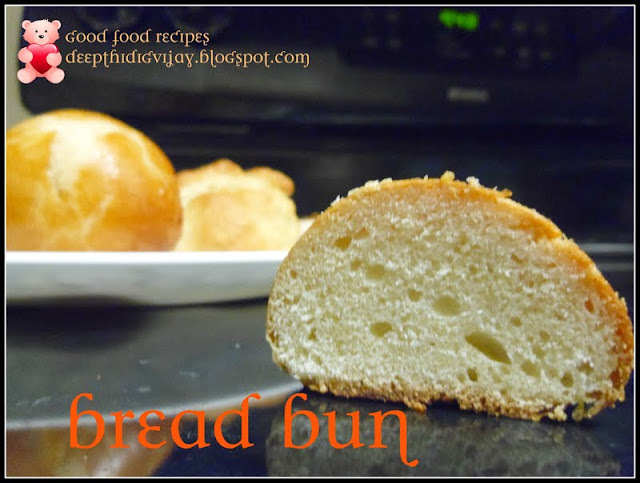 Sounds and looks so very delicious. Pasta looks simply awesome. Excellent snaps. 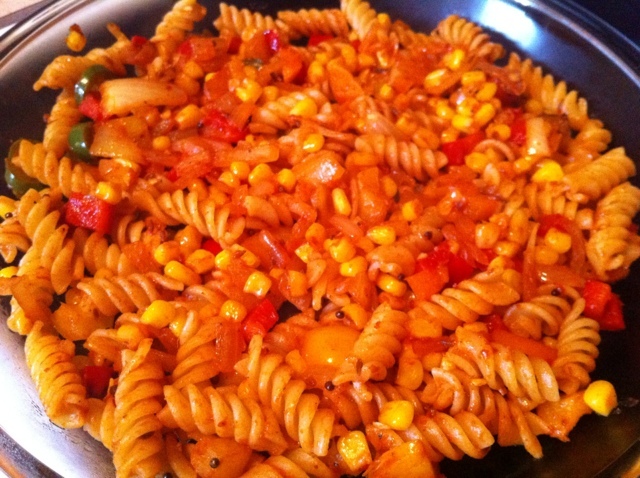 Woww wat a droolworthy pasta.. I've been browsing online more than 2 hours today, yet I never found any interesting article like yours. It's pretty worth enough for me. Personally, if all web owners and bloggers made good content as you did, the net will be much more useful than ever before.